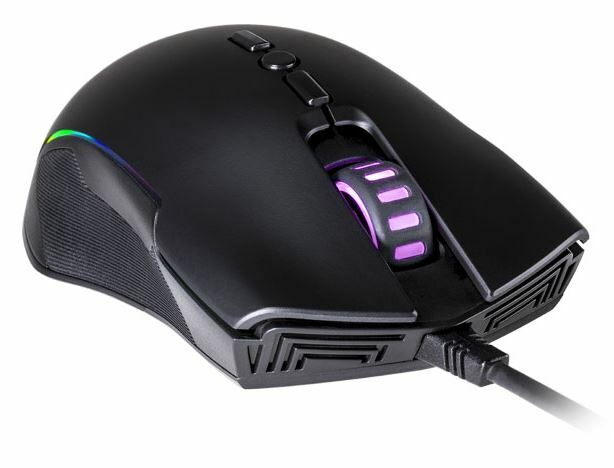 Cooler Master has announced the release of a new gaming mouse in the CM310. 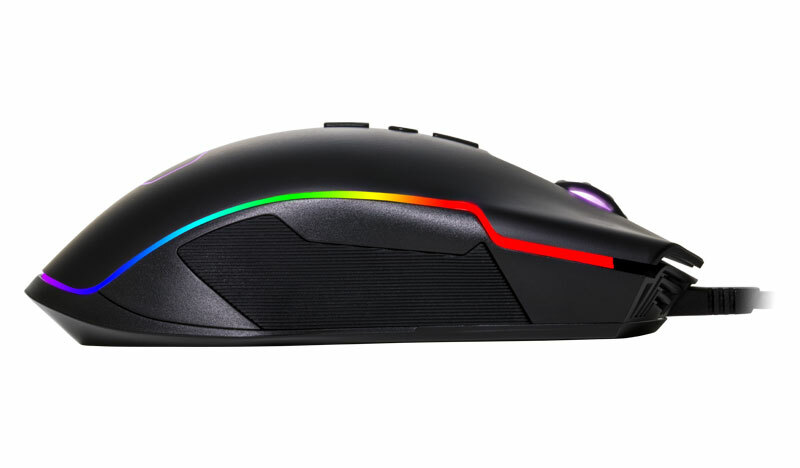 The mouse includes a 10000 DPI gaming grade optical sensor, RGB illumination, and is designed to be ambidextrous. 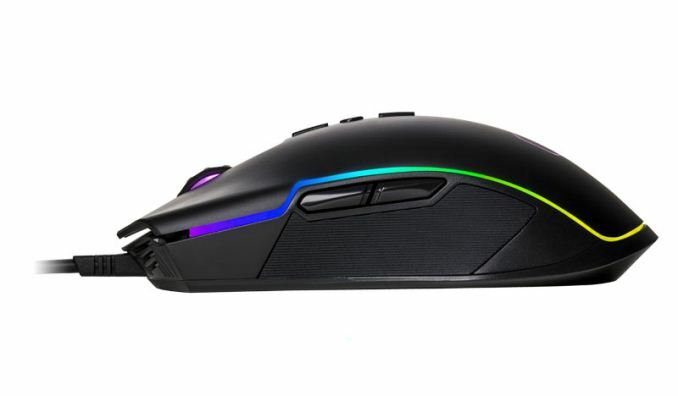 The new peripheral, according to Cooler Master, is designed as ‘a mouse for gamers of all calibers and is designed to be comfortable, reliable, and doesn’t break the bank‘. The outside of the mouse is made of a matte black plastic and rubber and includes an RGB illuminated web wheel. A Cooler Master symbol is on top, along with an RGB strip which is wrapped around the entire body. Cooler Master includes five preset RGB modes and effects, but no mention if it can work with motherboard RGB software. Although the mouse is said to be ambidextrous, the side buttons are on the left and for right-handed grip so this may not work as well for lefties who need those buttons. For increased grip, the sides of the mouse, where most users’ thumb and pinky finger rest, are rubberized to prevent slippage in the middle of a game. There are a total of eight buttons on the mouse. 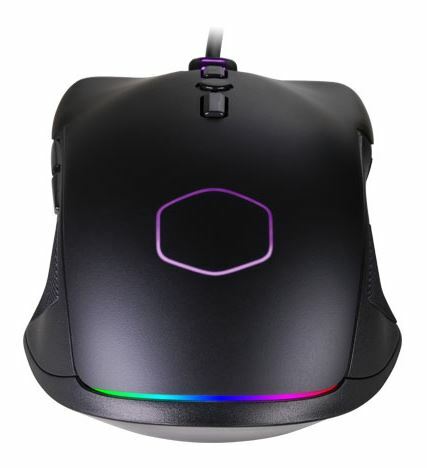 The three buttons on top are mapped to DPI changed and profiles for the ability to quickly switch to slower/faster movements on the fly with seven levels (500, 1000, 2000, 3000, 4000, 5000, and 10000 DPI). The remaining five buttons are the typical left and right we see on nearly every mouse, the two buttons on the left side along with the web wheel are also clickable. The device uses a Pixart A3325 sensor, good up to the 10000 DPI mentioned earlier, along with a polling rate of 1000 Hz, a lift-off distance of ~3mm, and uses a 60 inch-per-second tracking speed (3.4 miles per hour). The wired mouse uses a 6-foot USB 2.0 cable to connect to the PC. The Cooler Master CM310 is said to be available today at Newegg/Amazon and carries an MSRP of $30/30€.